On Wings of Eagles: Attitude is everything. There once was a woman who woke up one morning, looked in the mirror, and saw that she had only three hairs on her head. "Great," she said, "I think I'll braid my hair today." So she did, and had a wonderful day. The next day she woke up, looked in the mirror and saw that she had only two hairs on her head. "Hmm," she said, "I guess I'll part my hair down the middle." The next day she woke up, looked in the mirror and saw that she had only one hair left on her head. "Wow," she said, "today I get to wear my hair in a ponytail." So she did, and had a wonderful, wonderful day. The next day she woke up, looked in the mirror and saw that there wasn't a single hair on her head. "Thank God!" she exclaimed. "I was running out of things to do with my hair!" 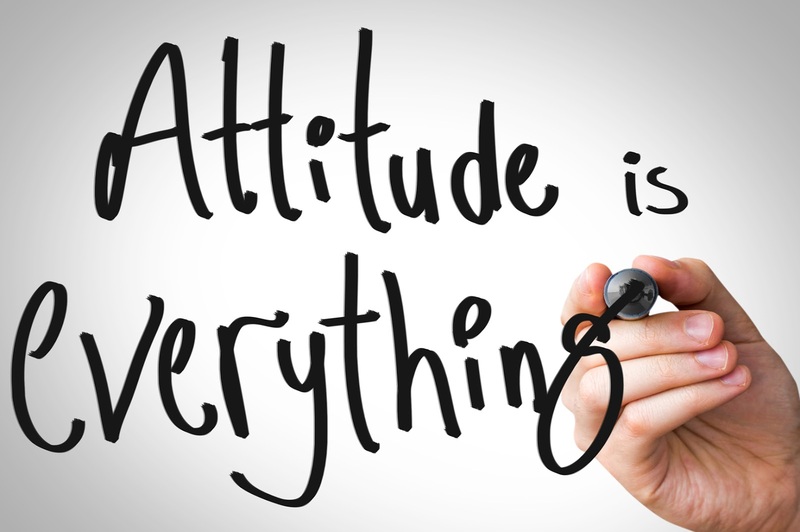 ATTITUDE is everything! Let's be grateful for the things God has given us and have a wonderful day! Dear Lord, help us have a good attitude for the things that come our way. Help us be positive and always look for the good. In the Name of Jesus, Amen.